Christmas is coming up so fast this year, and I have so much shopping left to, actually most of it. I’ve already gotten the big things off my loved one’s lists, but I still have alot of little presents left to get. I also need to figure out several dishes that I’ll be taking to holiday parties. Plus get the house cleaned up, take some toys to donation to make room for new toys, and tons of other little errands. I understand now how mom’s get so stresesed come holiday time. It’s crazy. One of the holiday appetizers I’ll be taking to a party are these little spinach artichoke bites I tried out today. 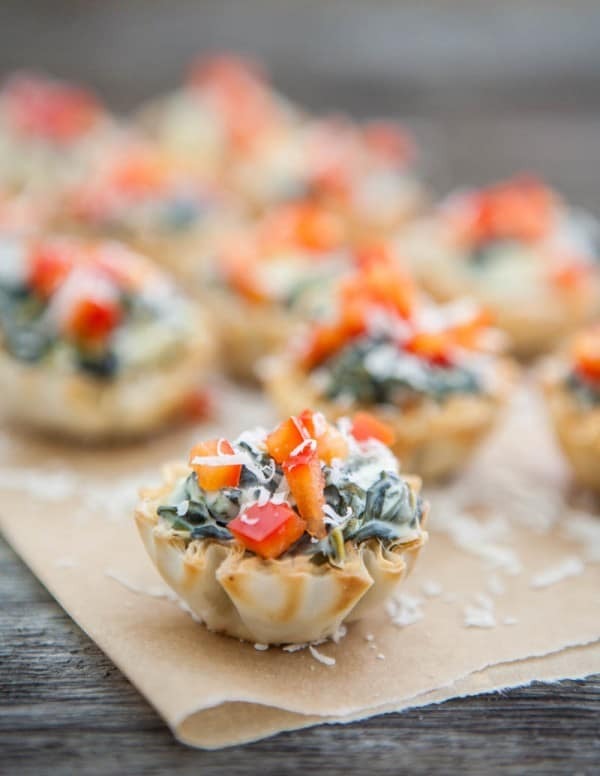 I used Athens Mini Phyllo Shells to make these. 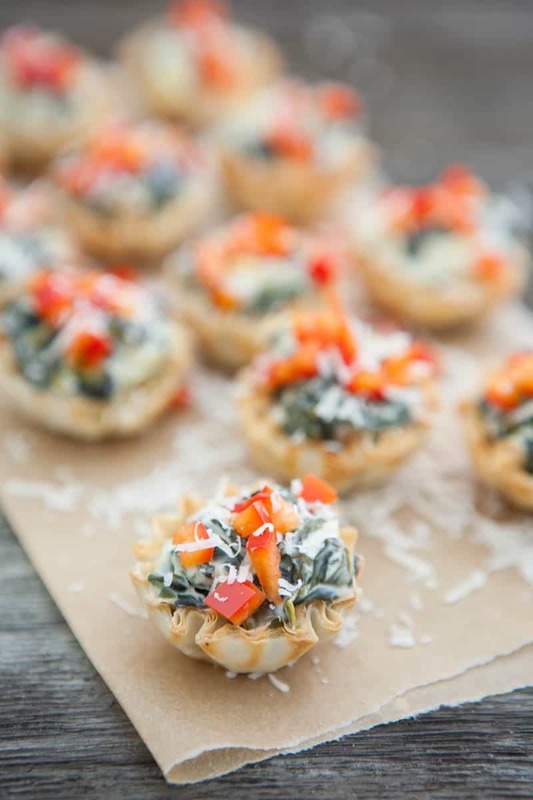 I love using their little shells for appetizers. They are the perfect bite-size portion. I also love the crunch of the phyllo, it’s so good. These little guys are too easy to make. I just sauteed a bag of fresh spinach with some marinated artichoke hearts and added a brick of cream cheese. Then I spooned the filling into the phyllo shells and baked them. For garnish, I used some diced red pepper and freshly grated Parmesan cheese. For this recipe, you could also use a container of frozen spinach. For extra flavor, add some grated garlic to the filling or finely chopped shallot. Heat oven to 350°. Heat large skillet over medium heat. Drizzle with olive oil and add fresh spinach, Saute until wilted. Add drained artichoke hearts, and break them up with a back of a spoon. Add cream cheese and stir in until well combined. 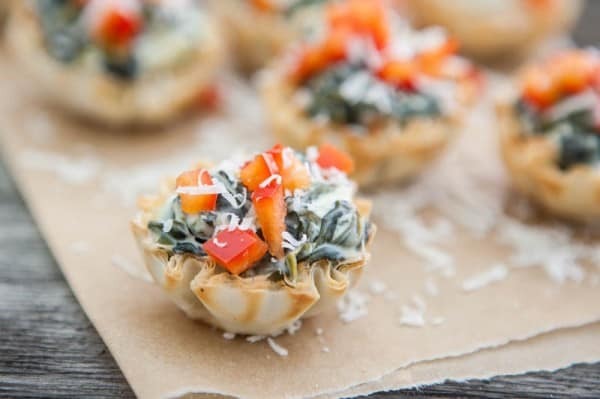 Spoon mixture into phyllo cups. You may have filling leftover. Bake at 350° for 10 - 15 minutes. Garnish with diced red pepper before serving. This post sponsored by Athens. All opinions 100% mine. This is such a perfect party bite! Quick, easy and yummy! The red pepper and green spinach combination make them perfect for a Christmas celebration.